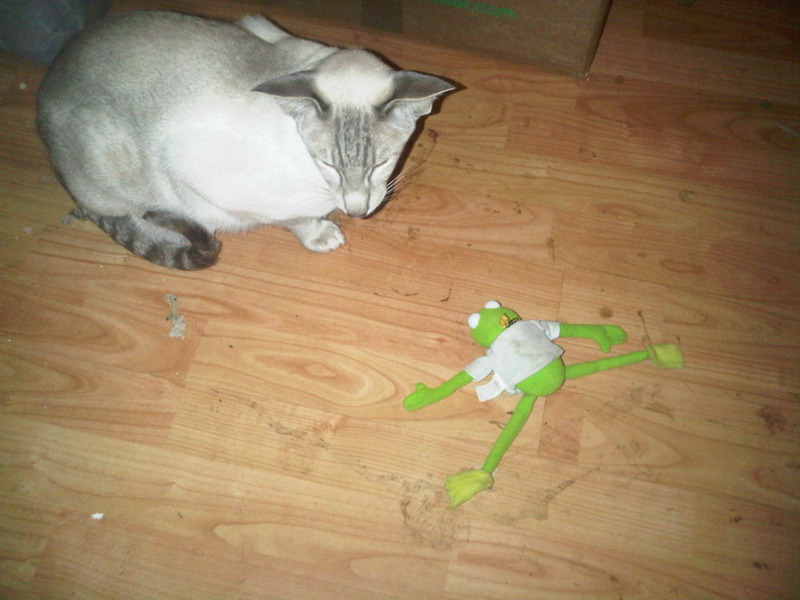 Cat vs. frog. Kermit the Frog. Cosmo has issued a death sentence on this Muppet.